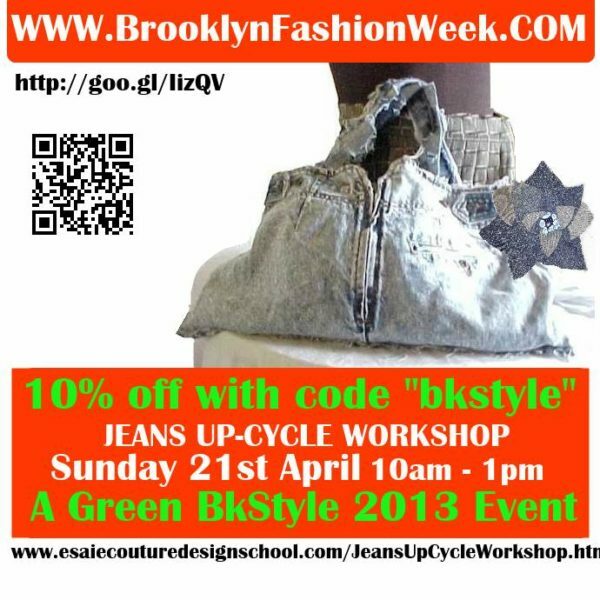 There upcycling , then there’s upcycling BKStyle . In TEhis EarthDay Ny Workshop, choose two of the three projects to up-cycle them. Repair holes by filling them in with your own funky recycled fabrics and embroidery stitches. Or, recreate your favorite old jeans into something beautiful and useful, again. Make a very cool denim flower embellishments to applique to a jacket or use as a hair ornament, etc. Or make a super cool bag!